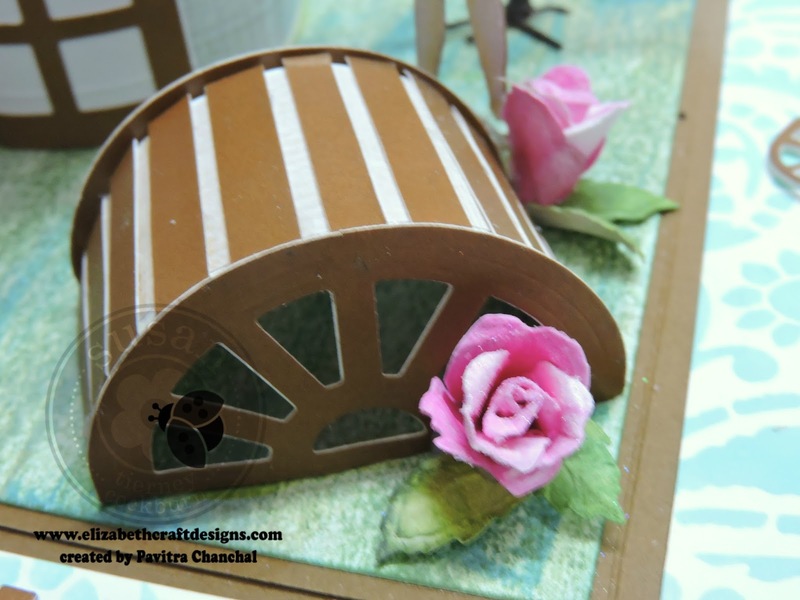 A warm welcome to my blog post here. 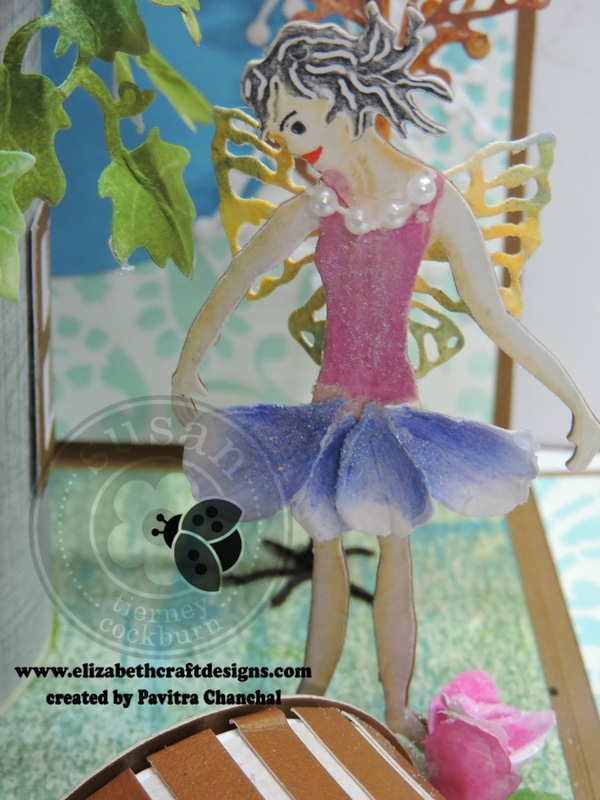 Fairies are part of everyone's childhood and they still fascinate me a lot. 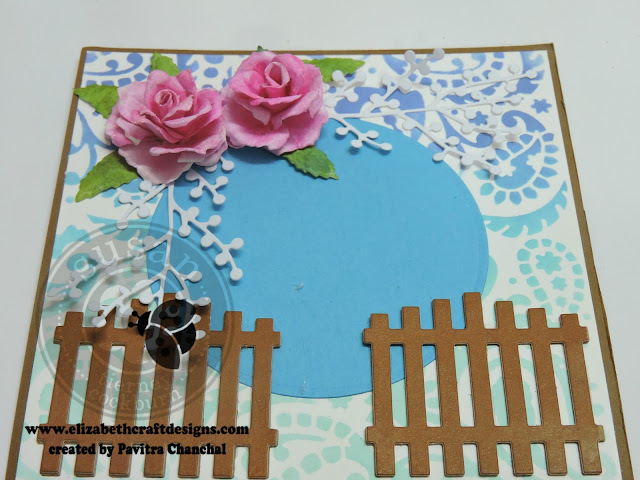 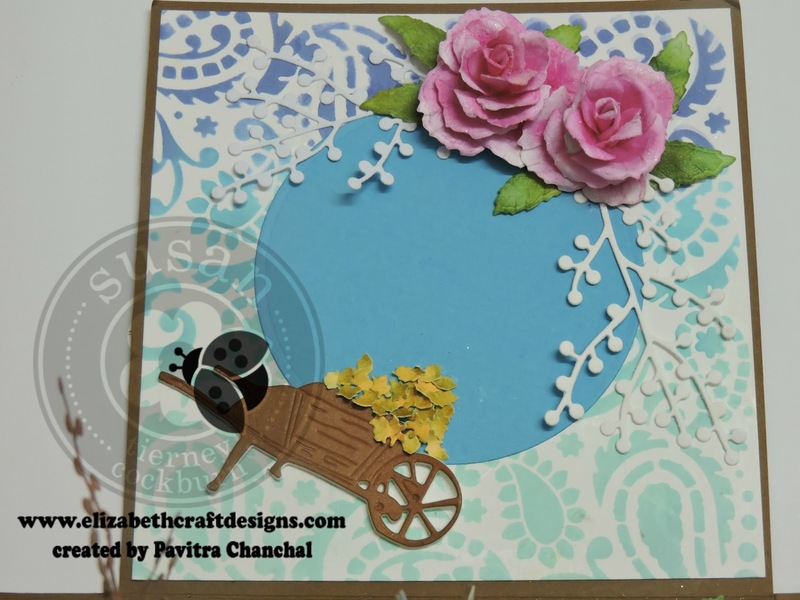 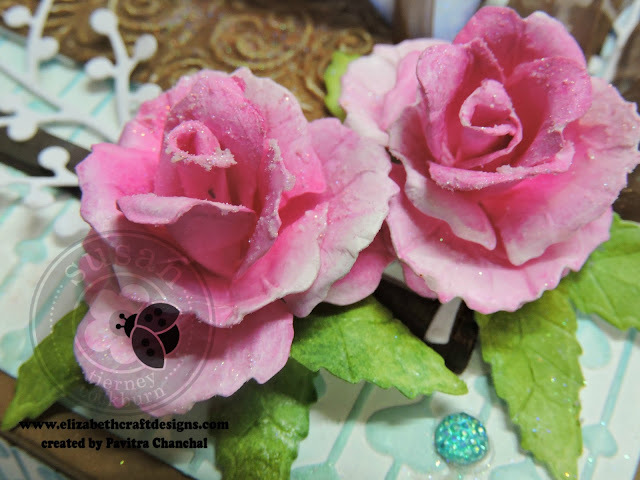 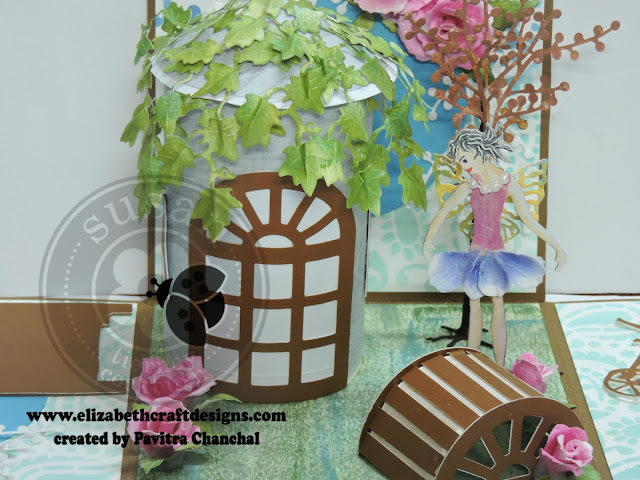 So the moment i saw the new released Garden Notes Fairy - Rose petal from Elizabeth Craft Designs , i know i have to create something very special out of it and here what i come up with. It's an fairy garden explosion box which measures 6 by 6. 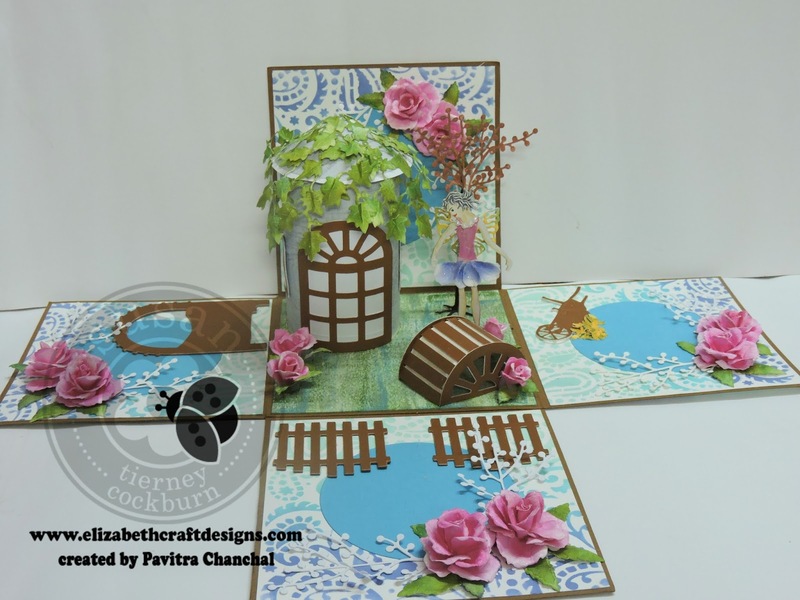 For giving it the look of a garden i used various dies from Susan's Garden collection. 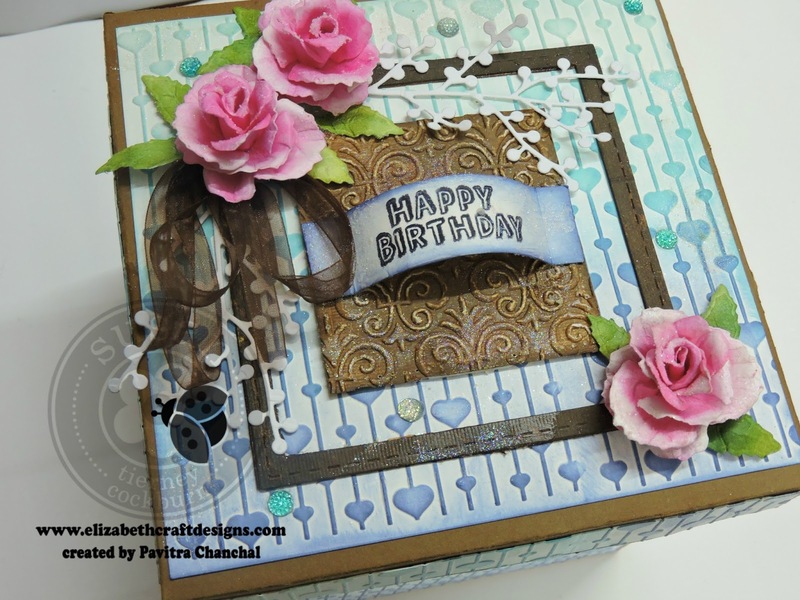 Did you noticed the tiny hearts here , isn't gorgeous for getting this effect i first emboss the Soft Finish Cardstock with Heart Strings Embossing Folder and than ink with various distress inks. 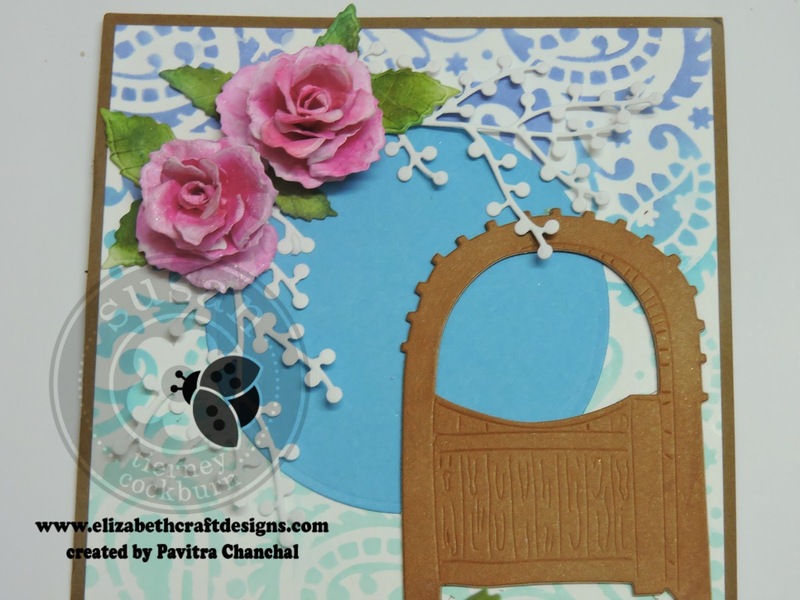 For making the door here i used the center part of Garden Notes -Carolina Window & Shutters. 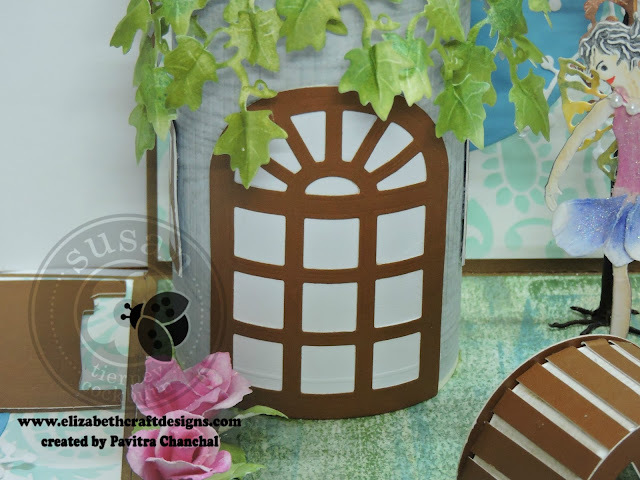 For the windows trim the same die cut. For the tree i cut Soft Finish Cardstock with Berry Branch die , ink and paste them on metal wire and cover it with brown tape to mimic tree trunk. Using the Garden Notes Ivy Vine I cover the roof of the house. Hope you have enjoyed going through my post. 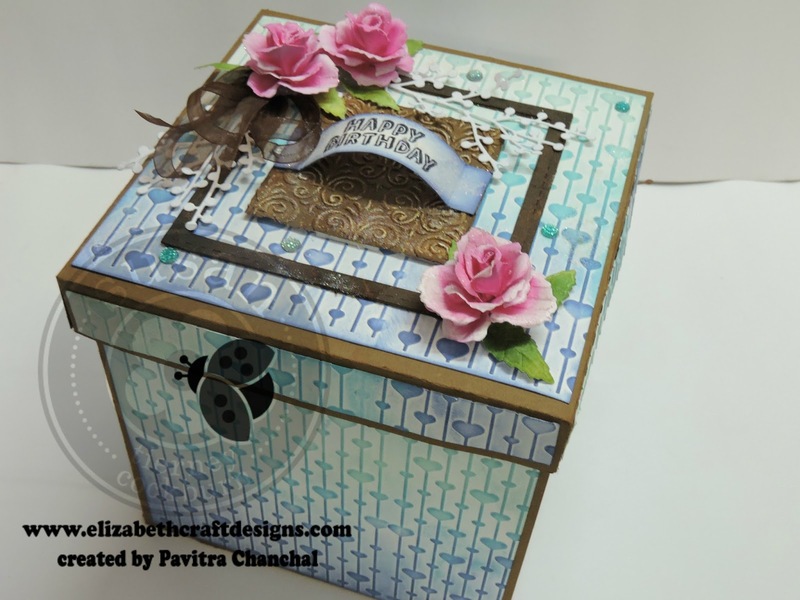 For all you crafting need don't forget to visit the Elizabeth Craft Designs Store .